It's only right that these wonderful ladies get some positive press! 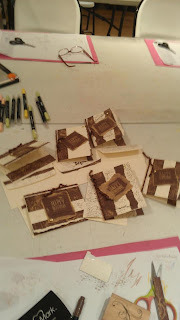 They are fun, creative, helpful to each other and share my love of card-making! Beautiful embossed edges and heat embossing and our shaving cream background. Our delish chocolate bunny and a monochromatic birthday card. 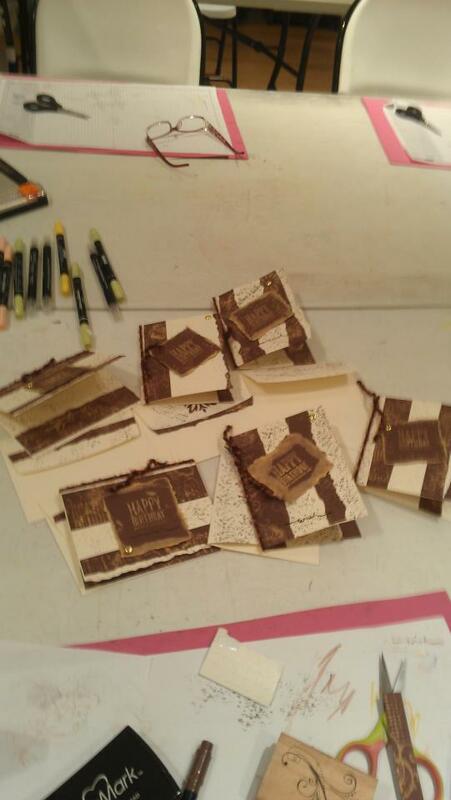 Here we are at last week's class where we created a batik pattern using bleach and a very fun April Fool's Day card!